Please note: The rings shown in this listing are sold. The photos are used to give you an idea of how your rings will appear when they are made. 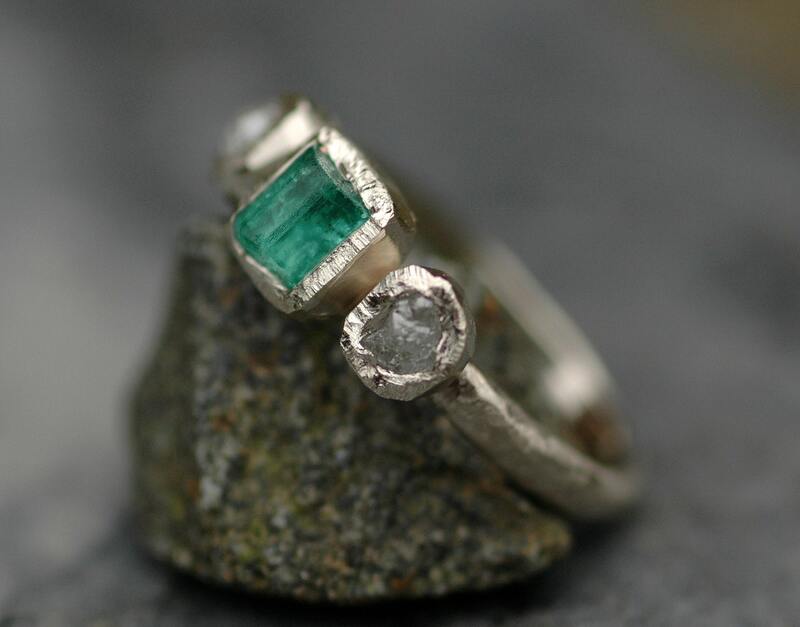 As each of my rough emeralds and diamonds is a unique form, you can rest assured that your ring will be a one-of-a-kind creation. This is a made-to-order, custom piece, so please read my shop announcement for my current production time. The rings in this listing are recycled 14k or 18k white, rose, or yellow gold. The ring in the photos has a hammered finish, but you can also choose from matte/brushed, or high shine. 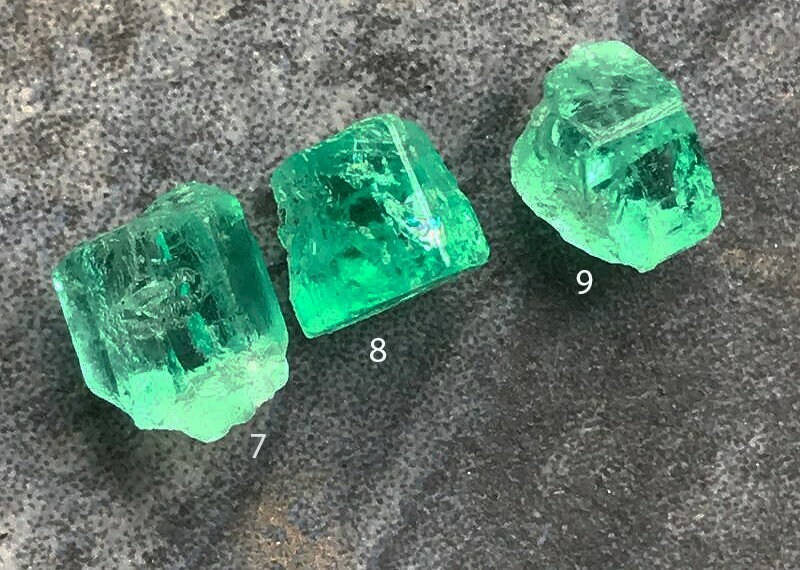 These are the most gorgeous raw emerald crystals. These crystals are uncut and untreated, and are from Colombia. Colombiais the source of the most highly-prized emeralds in the world. 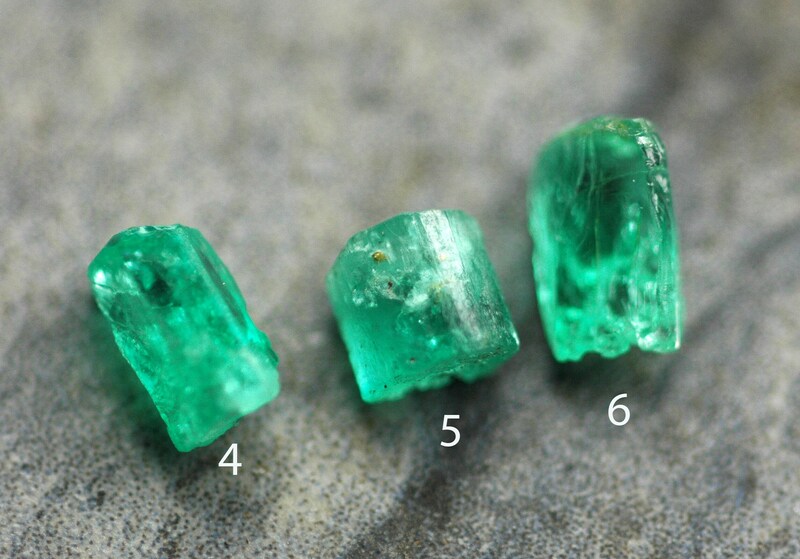 Like the vast majority of natural emeralds, this parcel of stones has some inclusions. 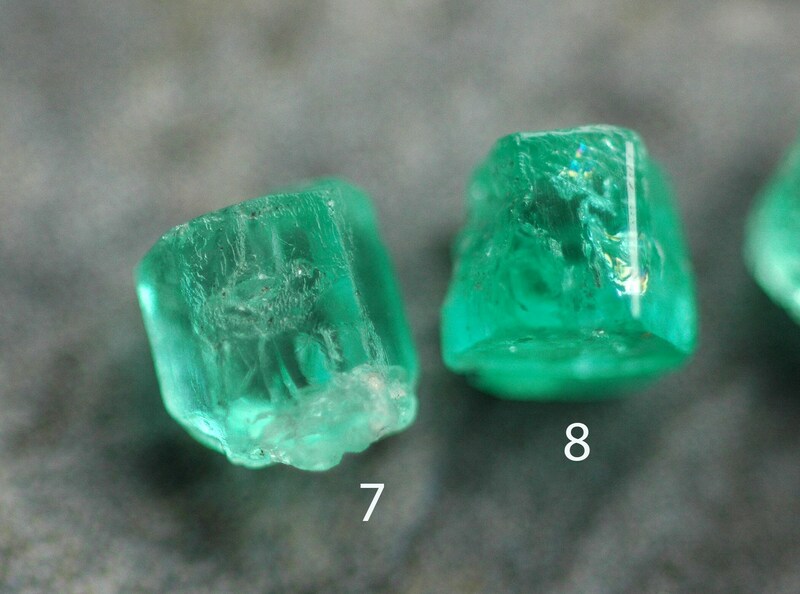 To find an emerald with no inclusions is next to impossible. The inclusions in the stones add to their natural and unique appearance. 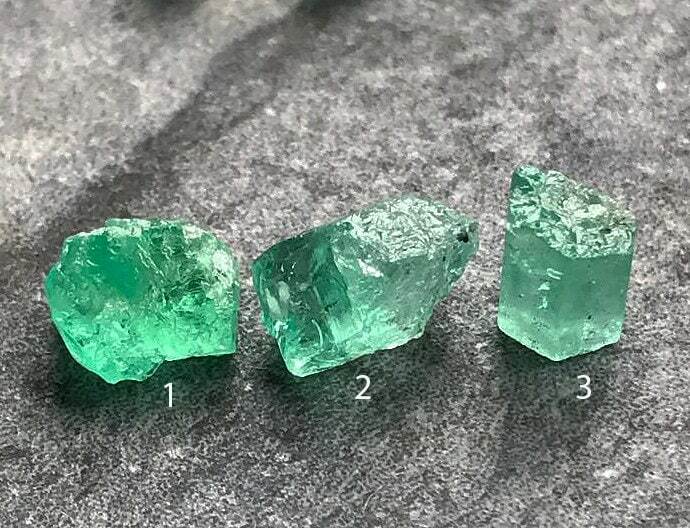 This stone is transparent, and is the classic emerald green colour. Its natural form is geometric and faceted. 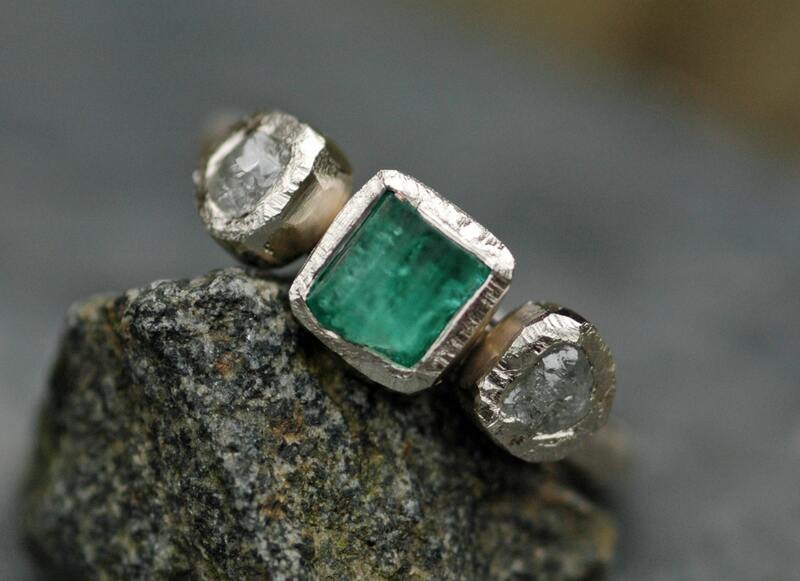 The emerald is flanked by two small raw diamonds. My raw diamonds are all conflict-free, and certified via the United Nations' Kimberley Certification Program. 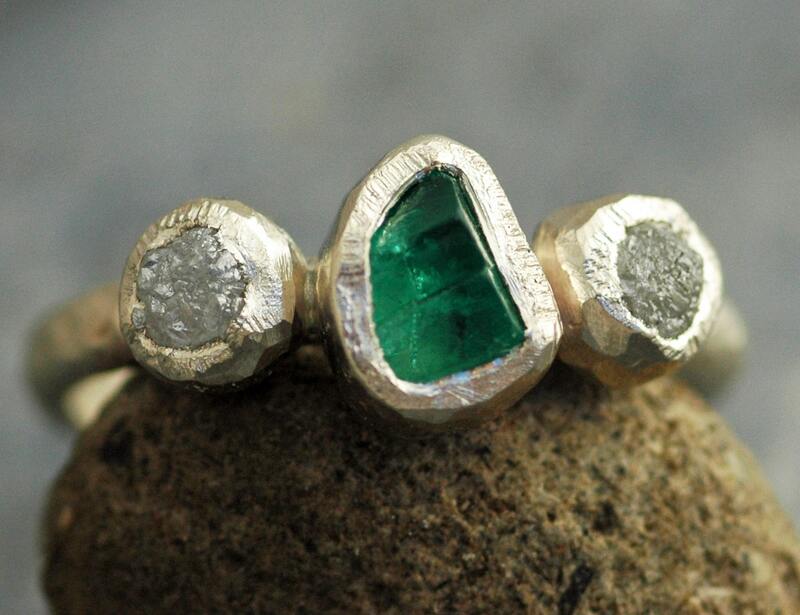 I have created a setting for this ring that echoes the angular faces of the emerald. As I hand-build each ring to order, you can also request a smooth, non-faceted bezel on your ring. Please choose your gold option (14k or 18k) and emerald from the drop down menu. 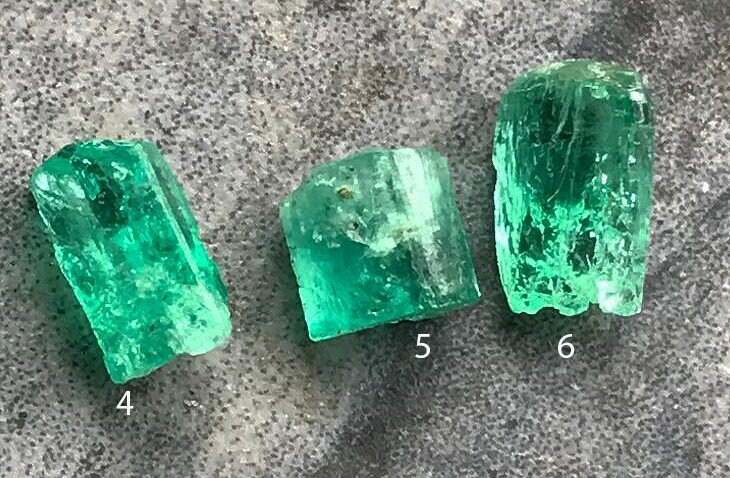 The emeralds are listed here by caratweight and dimensions. Please keep in mind that if you choose an emerald with higher clarity, the colour of the stone will take on the tint of the gold bezel underneath it... white gold will enhance the colour, while yellow and rose gold will warm the colour of the stone up.